Being Melbournians where everything is open every day for a significant period of time, we did not at all factor this in when we decided to board the bus 4 hours earlier. But we were in Vienna and the rules were not at all the same. So, umbrella in hand we traipsed around the city for about 2 hours. I forgot to point out the fact that it was the first day of our adventures that we had experienced rain and we were not at all ready for it. After kilometres of pointless walking trying to take in our surroundings and remain positive, we arrived at Starbucks, which thankfully was open and did have Wi-Fi and so we reassessed. We tried searching for nearby cinemas showing a single movie in English as well as any nearby attraction that may encourage us to enjoy this city even in the slightest, but found nothing. Wet, tired and disappointed we made our way back to our hostel and settled for lying on the couches watching the Sochi Winter Olympics (which Australia did not feature in at all). All in all a very poor introduction to what could have been a beautifully historic and grand city. The only thing that did happen on a Sunday in Vienna is the Opera. But with all our dissatisfaction since arriving we even gave this a miss and settled for an early night to refresh and hopefully get a new perspective on all things Viennese on our final day. We did have a new lease on life the next morning and decided to participate in a walking tour of the city to get a bit of history. Interesting facts about Hitler’s art school struggles and magnificently old royalty were learnt and by midday it was already significantly more productive than the previous day. In the afternoon we decided to visit the hills, however the two trains and bus ride were probably not worth the hike. 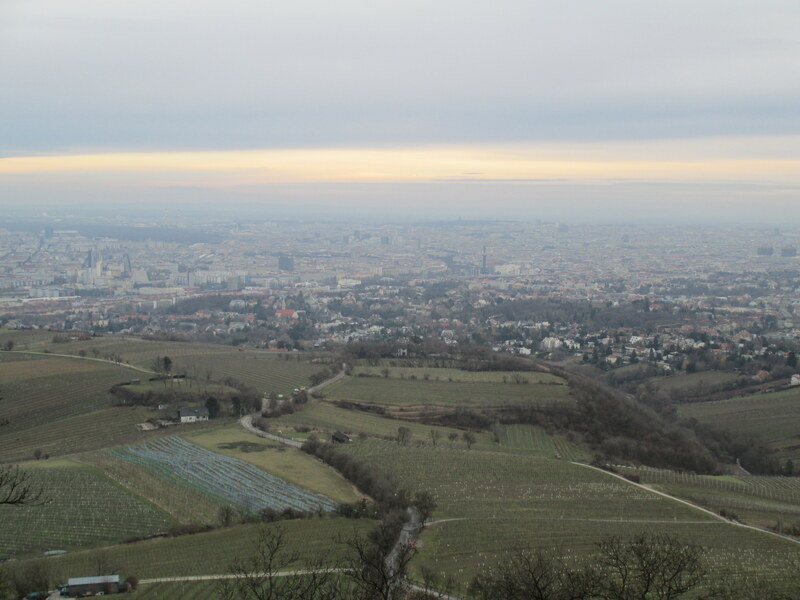 We had only 10 minutes at the peak before we had to board the next bus back in order to make it back to the hostel (via the delicious Nachmarkt outside our hostel) and on another train to the international bus stop in the sticks. The one thing I did thoroughly enjoy about this city was the Naschmarkt. 20 falafels, 500g of hummus and tonnes (almost literally) of dried fruit later we had sufficient snacks for our bus ride to Budapest. 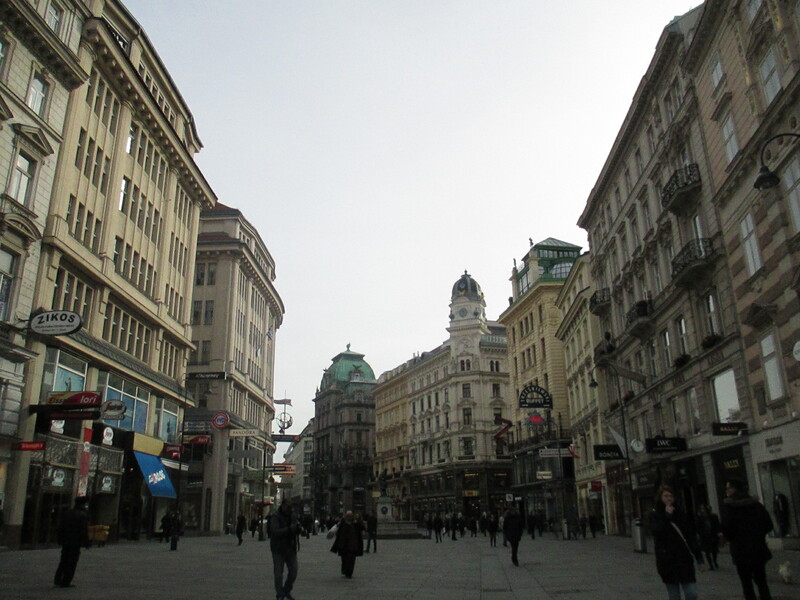 I do agree we hardly gave Vienna a chance, but it also didn’t have a lot that appealed to us even on the Monday when things were open again and the main streets were much livelier. 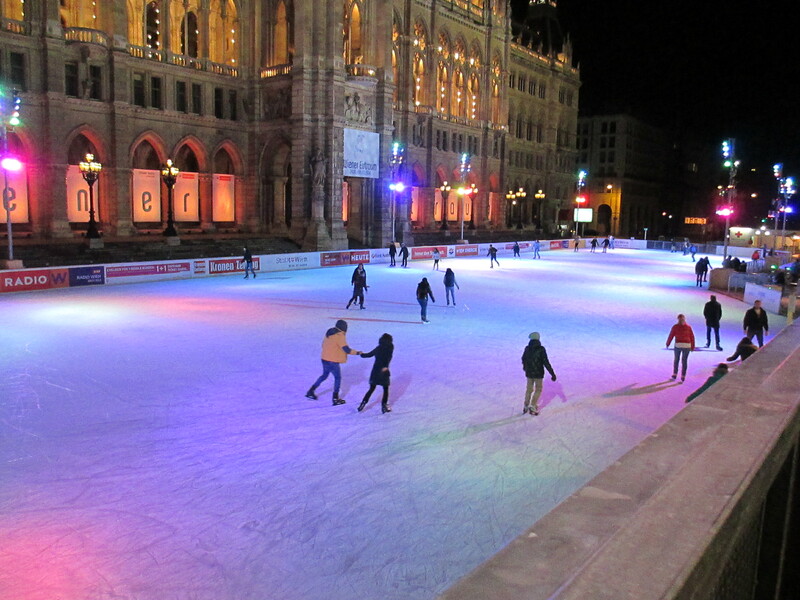 One thing we wish we’d been able to take part in was the Vienna Ice World where they transform the City Hall Square into a skate rink over the end of January – start of March. There are also heaps of delicious food stalls dotted around the rink. We came across this too late our first evening and wanted to come back the next day to skate but didn’t make it.